Tristan has ADHD and goes to Mrs. B.’s for help with his schoolwork. They’re right at the start of Mrs. B.’s goldfish naming contest when Mrs. B. makes a sad announcement. She will have to stop tutoring for a while because she has cancer. “Cancer” is a frightening word for Tristan. He doesn’t know much about it, but what he does know isn’t nice. Mrs. B. isn’t scared of his questions, though. She explains what cancer is. She tells him about the tests she’s had—blood tests, an ultrasound, and a CAT scan that has nothing to do with cats. She assures him, when he later visits her in the hospital, that cancer is not catching. And when she eventually has to take chemotherapy, she lets him touch her bald head. Mrs. B. 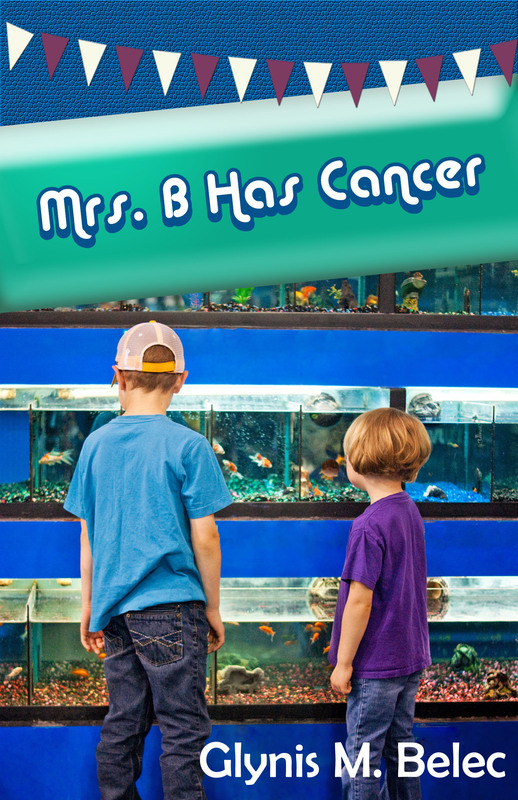 Has Cancer, a 120-page middle-grade chapter book by Glynis Belec, is a great resource for children and parents facing cancer (of their own or in someone they love). Belec has fought her own battle with ovarian cancer, tutors children, and knows firsthand the questions children ask. Belec is also an often-published writer for kids and adults so it’s not surprising her book is much more than a collection of facts. The learning in Mrs. B. 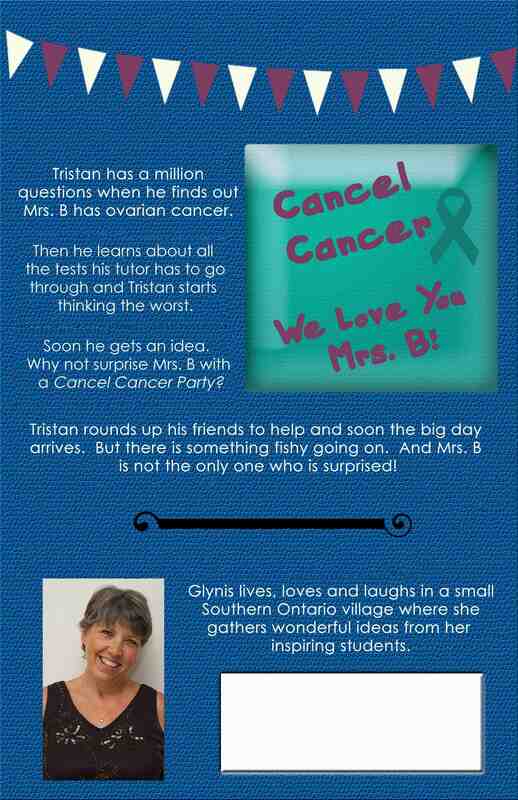 Has Cancer is woven into an inspirational story of modern kids and how their “Cancel Cancer” party not only cheers up Mrs. B. but helps others with cancer as well. The positive relationships between these kids and the adults in their lives, the subtle references to prayer and a spiritual dimension, along with the can-do attitude of the main character and his friends make for an all-round uplifting read. The book is available from the author (contact her HERE). And in the spirit of the story, $1.00 from the sale of each book goes to Ovarian Cancer Canada.